Walk 6 blocks to the MAX Galleria transit stop (check out TriMet’s Map). 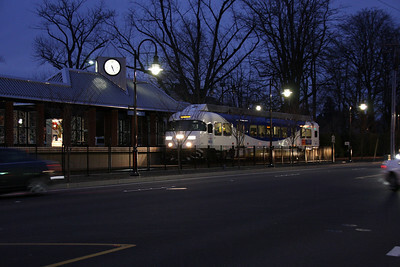 Depart on 5:16am MAX to Beaverton Transit Center. Arrive and depart on the WES to Wilsonville, Oregon. 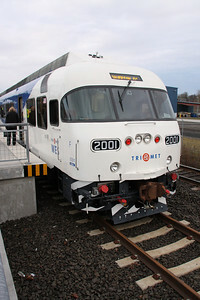 Then take the Cherriots 1x to Salem, Oregon. A relatively simple trip really, except for the 3 transfers and a theoretical 21 minute transfer wait to the WES. That’s kind of a bummer. However, what really caused stress is we ended up with zero transfer time. Cuz ya see, the frikkin’ 5:16am west bound MAX NEVER ARRIVED! That meant standing there on pins and needles hoping to catch the next MAX, which at that hour doesn’t come for… drum roll please… 21 minutes! Yeah, exactly 21 minutes, which would mean if everything departs on time then the transfer to the WES couldn’t occur, which meant the Cherriots transfer wouldn’t occur, which would mean I’d either be 30-60 minutes late. But as the trip started, amazingly, we caught that next MAX which was precisely on time 21 minutes later. Amazingly, the WES had not departed when we arrived in Beaverton TC. I guess, TriMet had managed to delay the train? Maybe the conductor or engineer on the train had held knowing familiar faces weren’t aboard. It is totally possibly since the WES crew generally tends to roll that way – they’re good with the passengers. Either way, I’ve arrived, Kristen is off to work, and I made this silly video with happy goofy travel music (cuz it is canned, and it is a pain to find music that isn’t copyrighted on the Internet). Next time I might add some of my own custom music, a little shredding for the soul always kicks a trip into overdrive.